The skills I built as a journalist are always coming in handy. 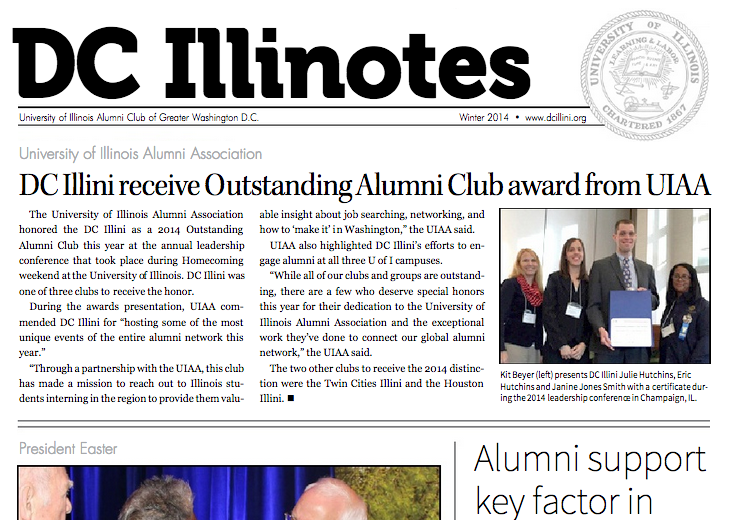 When the Illinois Alumni Association of Greater Washington D.C. (DC Illini) wanted to build a newsletter program, I volunteered my services for design. In the start of my career at the Morris Daily Herald, my position evolved to include responsibility for the design of speciality pages and – on occasion – visual front page packages. Page design still remains a strong interest of mine.